I have always loved monkeys. There is something in their eyes that tells me that they are thinking something along the same lines that I am. It’s also probably in relation to the fact that I am much like a monkey, I love climbing through the trees and swinging around. I love the curiosity that monkeys exude, they seem intrigued about everything around them and love to explore their world, something I hope to do as well. I found this particular monkey exploring a park in Belem, Brazil. Their are two tricks to photographing wildlife. The first is one I have mentioned a number of times, that of shooting from the eye level of the animal. The second is to focus on the eyes. It is the eyes of the animal that gives the image greatest power of emotion. I posted an article on searching for history in Salvador, Brazil yesterday. On Friday I will be posting a photo essay from the interesting city of Belem, Brazil. 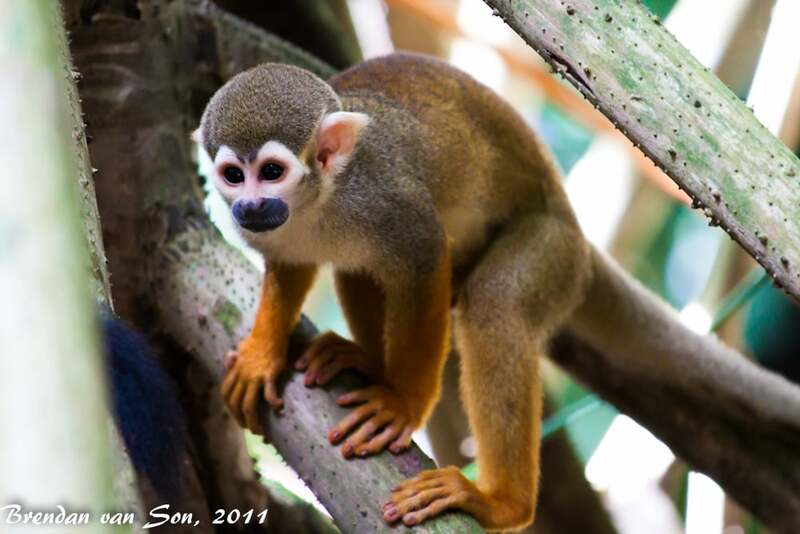 Oh that is to cute… reminds me of a shot I got of a monkey in Manuel Antonio. Cool photo. I agree the expressive eyes really make the photo.